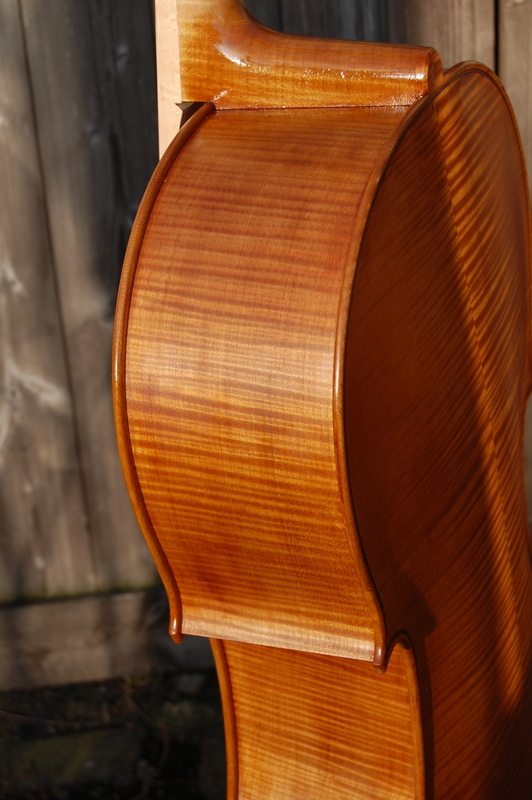 The cello that I’ve been writing about over the past few months isn’t far off completion. 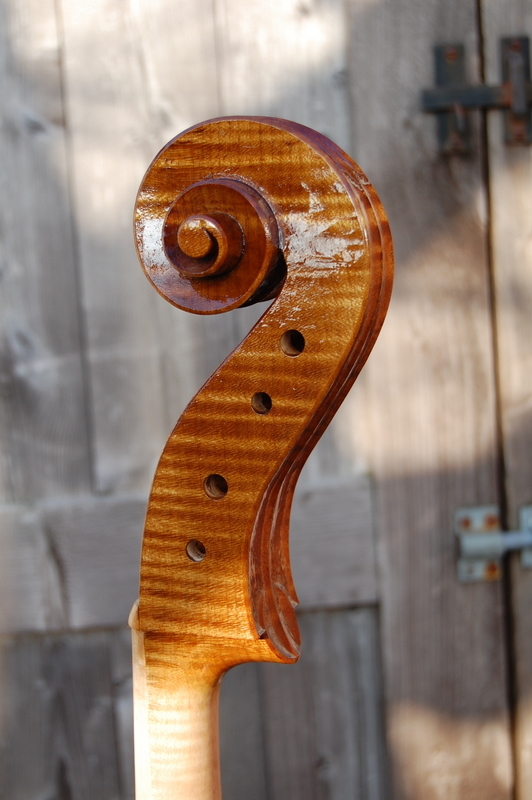 I always string instruments up before varnishing to be sure that they sound as they should. 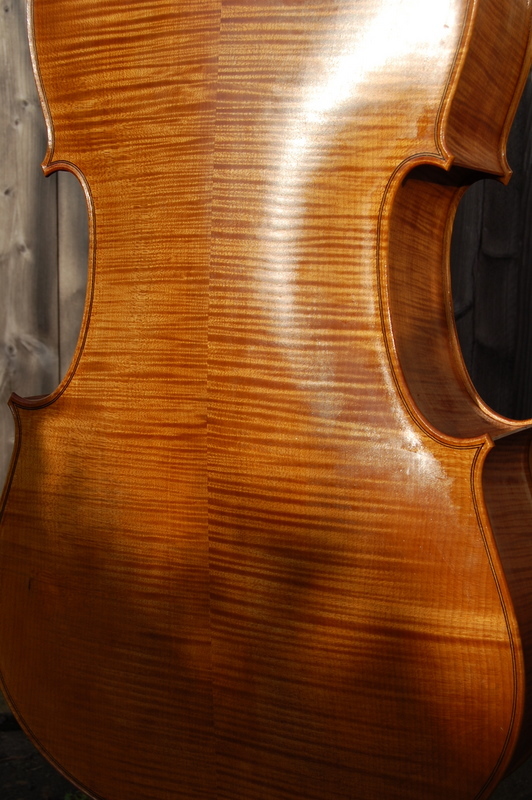 If adjustments are necessary and the top needs to come off, it seems better to do it before any colour or varnish is applied. 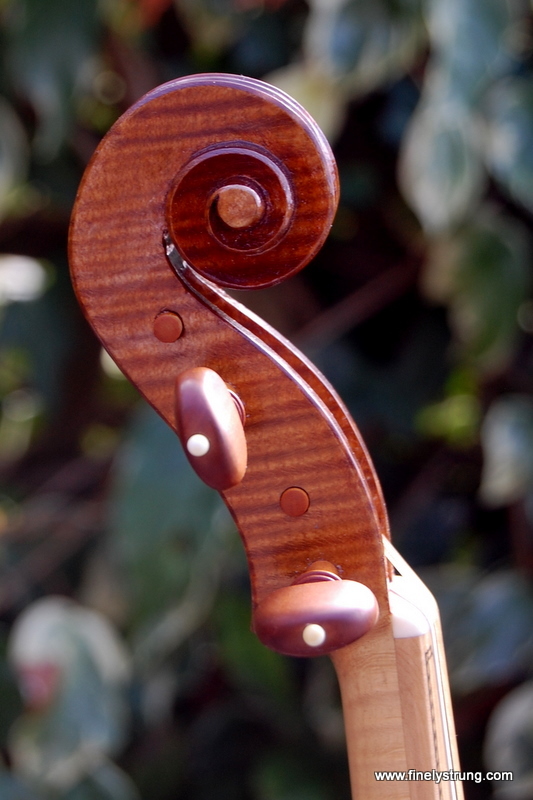 This one was played by several decent cellists and I’m glad to say they had no complaints about the sound – a good response across the strings, although there’s a rather fierce wolf between F and F# on the G string and, to a lesser extent, on the D string too. It may prove necessary to fit a wolf note suppressor but I’ll defer judgement on that until it has been strung up again after varnishing. 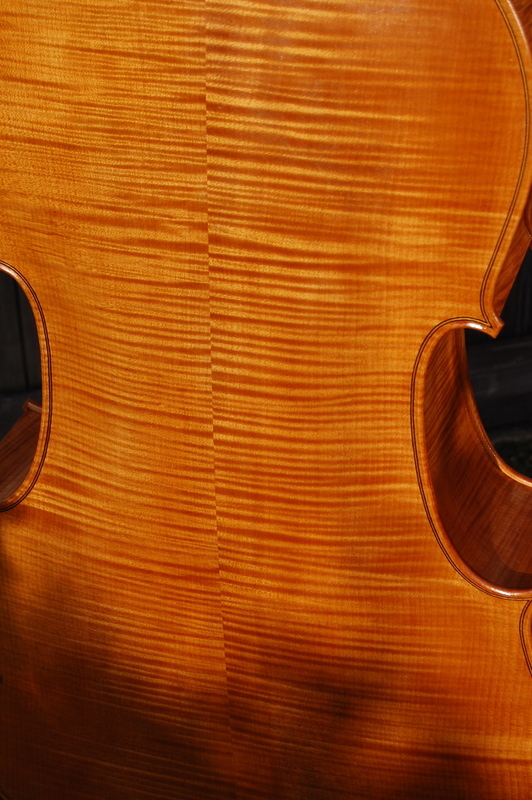 One of the cellists however, was helpfully critical about the shape of the neck – he thought that I had left it a touch too wide. 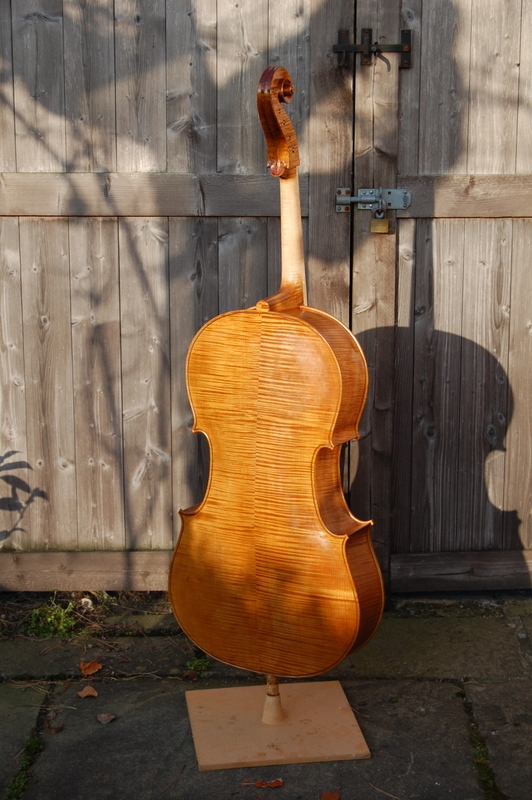 So I reshaped it before starting to varnish. 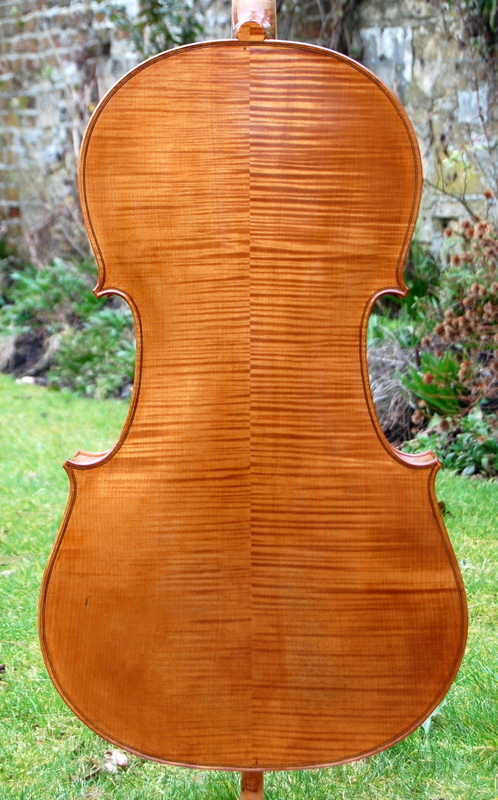 And here are a couple of photographs after a few coats of varnish. 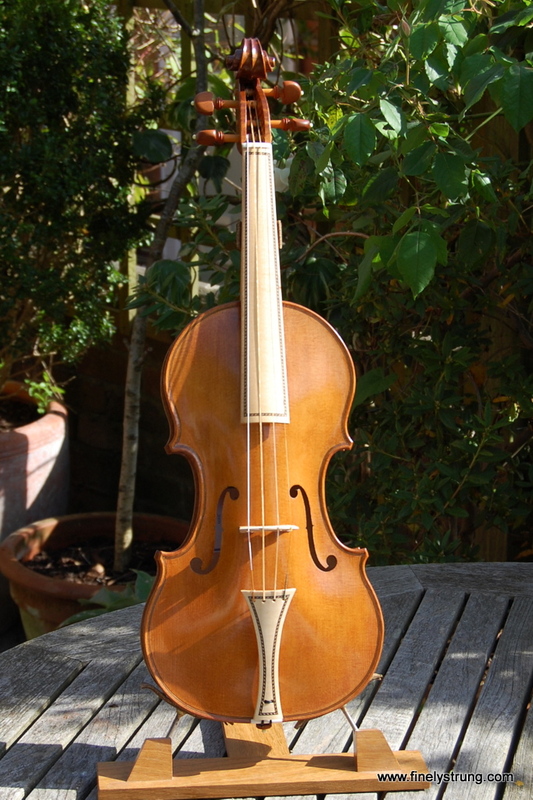 Back in May, I wrote about making a baroque violin, a loose copy of the Charles IX violin of 1564 by Andrea Amati, now in the Ashmolean Museum, Oxford. 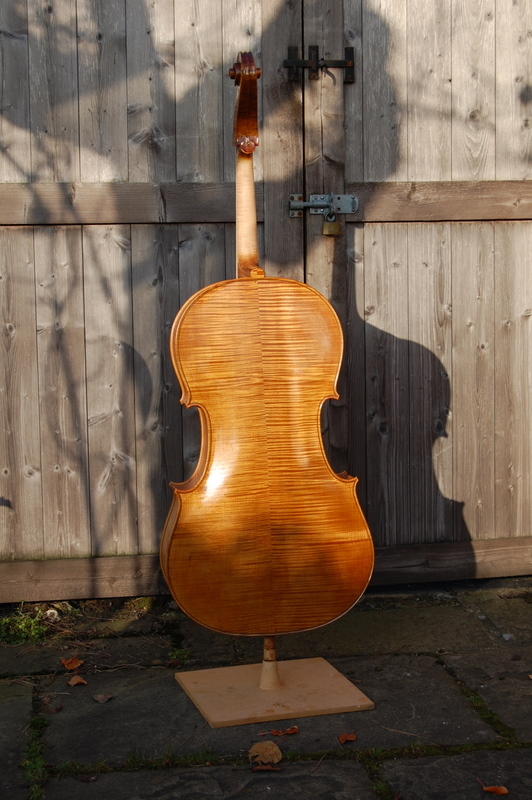 After it was completed, and while still in the white, it went off for a short trial by the violinist who had commissioned it and, having been approved, came back to be varnished. 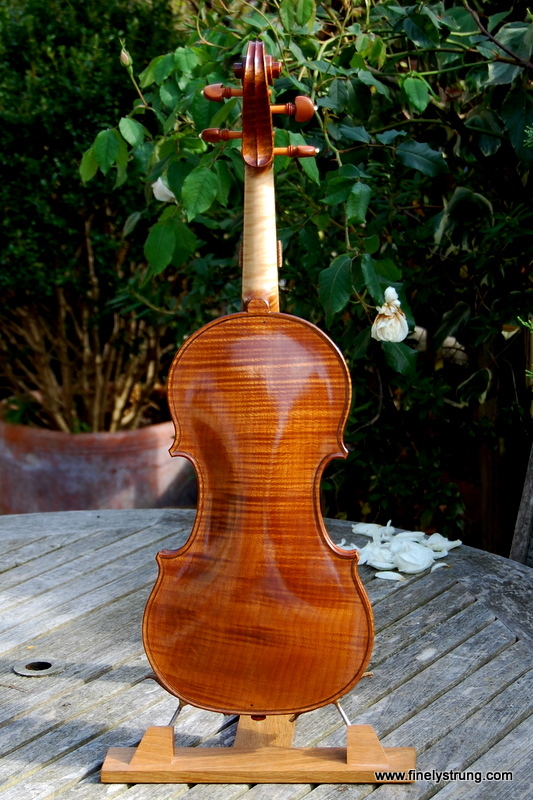 Varnishing is now finished and the fiddle has been set up again just in time for its new owner, Pamela Rosenfeld, to play it in the Buxtehude festival in Cornwall later this month. 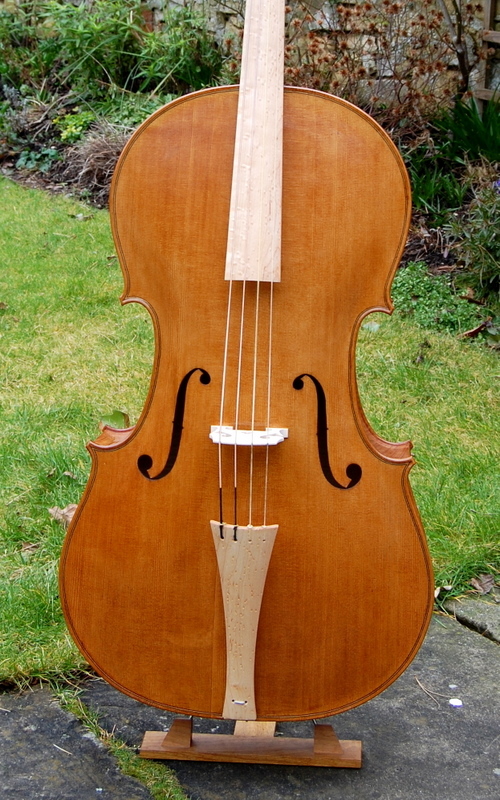 Below are a few photographs of the completed instrument. 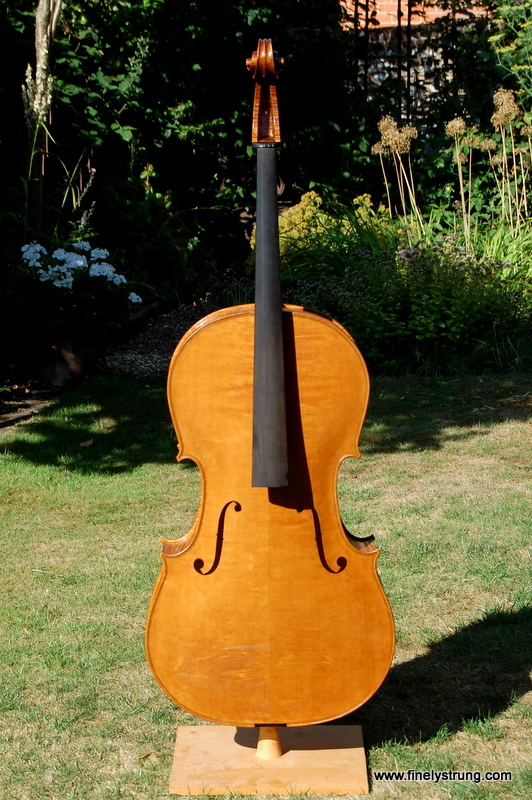 The varnish on the baroque cello eventually got hard enough to let me string up the instrument again and send it off to its new owner, Patrick Gale, who lives in Cornwall. 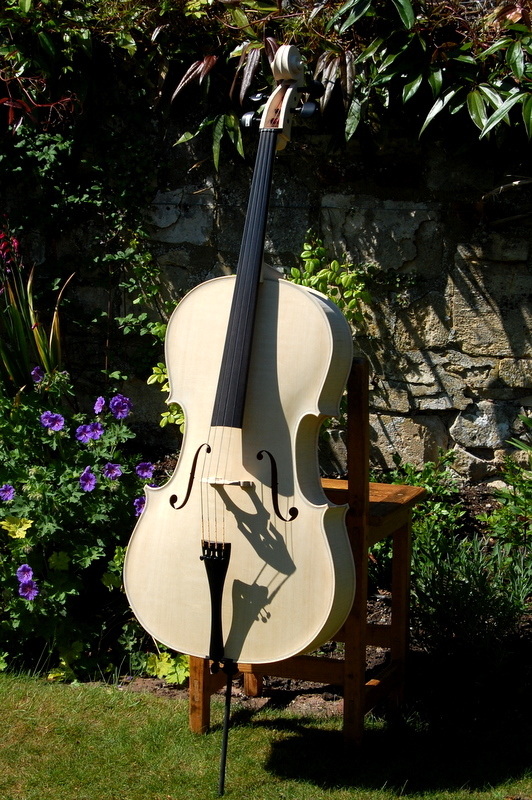 Patrick is best known as a novelist but he’s a keen and talented musician too and I hope he will be pleased with cello and the sound it makes. He tells me that he taking part in a series of programmes on amateur music-making that will be broadcast on BBC Radio 3 later this year. 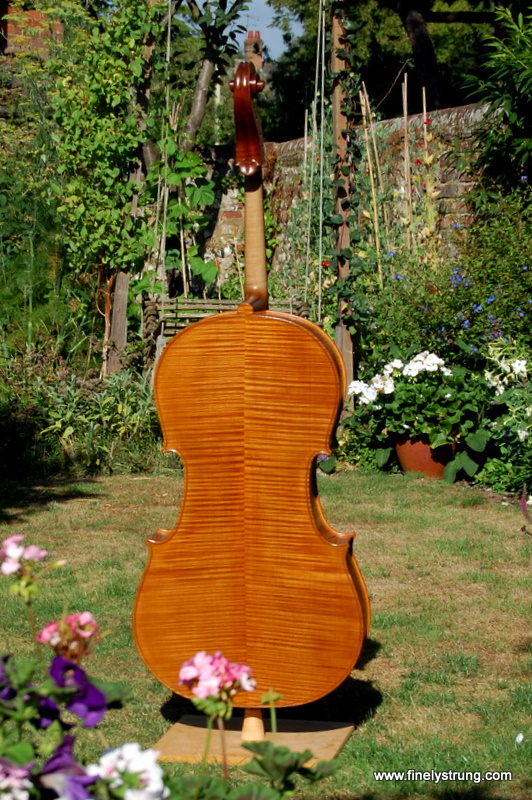 Unfortunately, although he mentions this cello on the programme, he doesn’t get to play it. 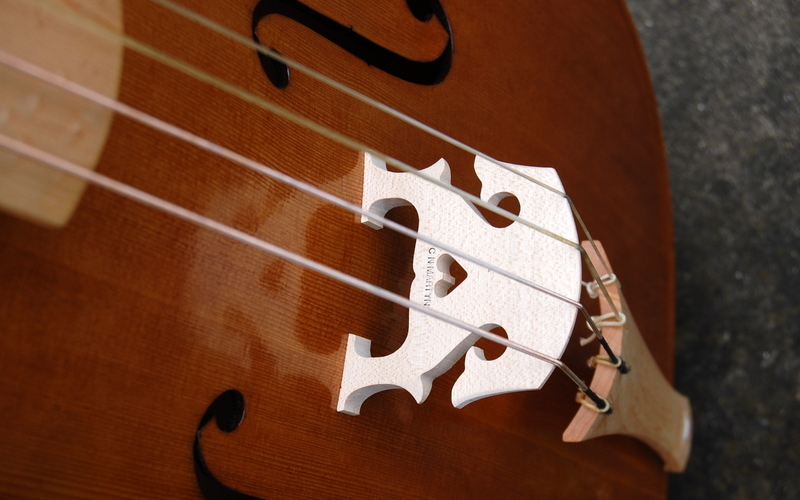 Before parting with the cello, I took a few photographs. There are 3 below and more in Gallery.